For most families, a home is among their most valuable assets. As part of your estate plan, it's important to be thoughtful about how, and to whom, you pass on this critical possession. Increasingly, an estate strategy based on joint ownership of assets is being used as a means of transferring wealth between spouses or to successive generations. Sometimes, joint ownership is used as a tool for expediency. As the owner of an asset, you can give joint ownership to someone who you want to help manage the asset or so the joint owner can make the asset available to your family immediately after your death. Also, joint ownership can be a planning technique used as part of a legal or tax strategy for minimizing probate tax. Regardless of your motivation, an important consideration before entering a joint ownership agreement is whether joint ownership of the asset fits into your overall estate plan. There could be another estate planning tool that's more suitable to your particular situation. Joint owners can hold property in two different ways: as joint tenants or tenants in common. This form of joint ownership provides two or more people with simultaneous rights of ownership of an asset. Each joint owner has an undivided and equal legal interest in the asset. Upon your death, the surviving joint owner(s) will acquire your interest in the asset automatically by a process called "right of survivorship." This means your interest in the asset will pass directly to the joint owner(s) of the asset, not through your estate — and through a potentially costly probate process — to the beneficiaries named in your will. Under the tenants in common form of joint ownership, there is no right of survivorship. When a co-tenant dies, his or her share of the asset passes to the will's named beneficiaries, or, absent a will, becomes subject to the rules pertaining to intestacy. Spouses typically hold property as joint tenants. This permits their respective shares of the asset to transfer directly to the surviving spouse. But tenancy in common may be preferred in some situations, like a second marriage. Using tenancy in common, the family home, or a portion of the value, can be willed to the children of the deceased spouse. If you transfer your joint interest in a capital asset, such as real estate or an investment account, that qualifies as a disposition at fair market value at the time of transfer. When the present market value of the transferred asset exceeds its adjusted cost base (the tax cost of the property to the original owner), capital gains tax is owed on the difference. 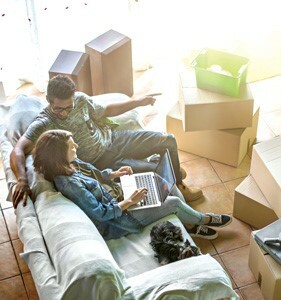 If you transfer your joint interest in certain assets, like your home, bank accouts and investment accounts, to your spouse, the spousal rollover under the Income Tax Act allows the transfers to be reported at the original adjusted cost base of the transferred property, instead of present fair market value. Thus, no capital gains tax is owed. Appropriate elections and filings have to be made with CRA to document the transaction. This rollover is not available on transfers to children.